Recently I was assisting with a Preseem server configuration. These boxes want to be bridged in the traffic path. 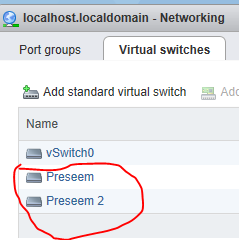 If you want to do this in an ESXi VM, this can be a little obtuse. 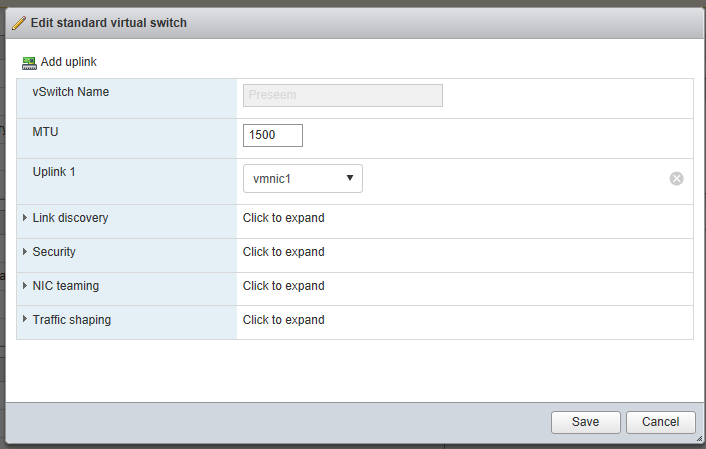 First create two new virtual switches. Next add a single physical NIC to each virtual switch. Edit each virtual switch and under security, enable all of the things. 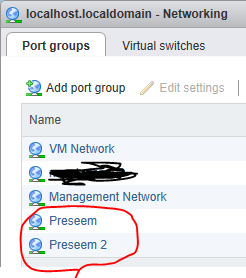 Next, add a port group to to each virtual switch. Here’s the secret sauce. 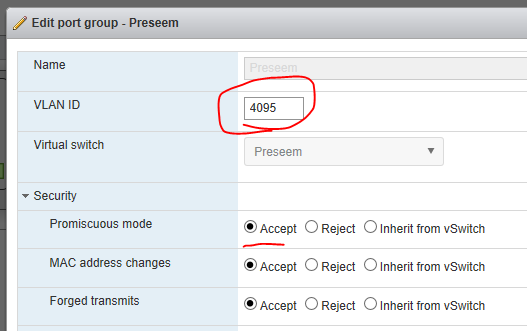 Edit the port groups and set the VLAN to 4095! 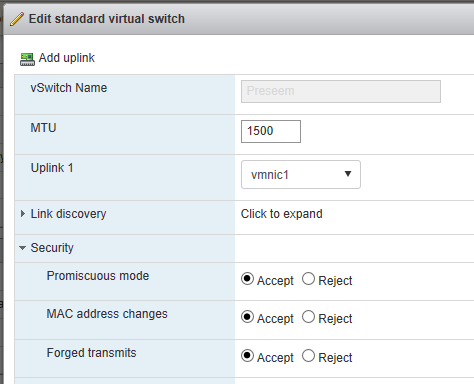 As per this VMware link, setting the VLAN to 4095 will instruct the vswitch to pass all VLANs through unmolested. Of course the switch or router ports on either end need to be trunking all vlans you want to move across your connection. Your VM server will need to configure a bridge interface, and the NICs added to it, thus the traffic will move through.